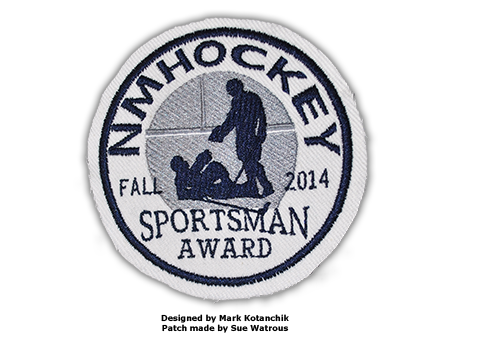 In the Fall of 2011, the NMHockey league introduced the Sportsmanship Award. This award was created to underscore the league’s commitment to fostering good sportsmanship and the importance of being respectful to fellow players and officials, bringing a positive attitude and participating in a fair and safe manner. The Sportsmanship Award is given to a player from each division each season who best exhibits these characteristics as voted by their fellow players in their division. The recipient receives a quarter season league fee credit and a framed sportsmanship patch.